Time where you get to do things that you like to do is really important. As a mom, "me time" can be very limited. 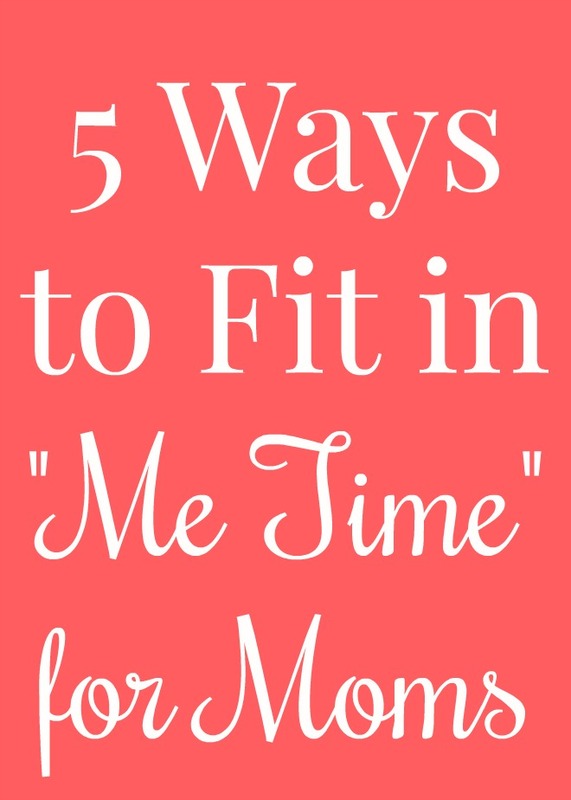 I feel my best when I take time to do a few things for myself so I wanted to share some of my tips for fitting in time for myself even though I have young kids to take care of. I love to exercise first thing in the morning and love that it is bright out by 6:00 AM. I get up before the rest of my family and get outside for a walk. I love this time of day and having a little bit of time by myself without the kids wanting 10,000 snacks during the walk is really nice. I feel really good when I start the day with some movement and have more energy for the rest of the day. When Troy gets home from work some days, I leave the house to do our errands. While this may not be the same as a trip to the spa, I love grocery shopping and doing it alone sometimes can be nice. Every so often, it can be nice to go out during the kids' nap time and go browse at a store and do a little shopping. I love taking my cup of coffee outside and drinking it while enjoying nature. It is very relaxing. There is something about coffee and nature that make me very happy and relaxed feeling. These days, reading a magazine feels indulgent and I love it! My favorite kinds of magazines are any that have to do with food. I have been a fan of Real Simple magazine for a long time now. They have great organizing tips, recipes and more. I picked up this August issue at Kroger. I have always loved tearing out parts of magazines that I don't want to forget such as recipes to make, products to try, things to remember as a parent and more. For a couple of years, I really didn't have time to read magazines so when I do get to read one, it is a treat! I love going on my patio and browsing through a magazine. Some other fun magazines to read are PEOPLE and Southern Living, PEOPLE has a special edition called PEOPLE Princess Diana: Twenty Years Later. **You can visit your local participating Kroger, Bakers, City Market, Dillons, Food 4 Less, Fred Meyer, Fry's Food and Drug, Gerbes, Jay C, King Soopers, Owens, Pay Less, QFC, Ralph's or Smith's to receive $1.00 off 1 PEOPLE, Real Simple, Southern Living, or PEOPLE Princess Diana: Twenty Years Later magazine. You can buy your magazines there right at checkout! Our most recent date for our anniversary! I guess it isn't quite "me time" if you go out with someone else but I am not a fan of dining alone. Getting some "me time" at a restaurant is one of my favorite things. Of course, my favorite meal date is my husband but we have only had one date since our son was born 4 months ago. I hope to get more soon! Every so often, I go out with my sister or friends for a meal which is so nice. I love chatting about different things and enjoying a meal where I'm not saying "Sit down, don't put your hands in your drink, don't eat your crayons," etc. 95% of the time, I love being with my kids. They are the lights of my life. But there is that 5% of time where I need a little break to relax, not have to tend to little people and do something that I want to do. I think that it is an important part of being a parent to do things for yourself sometimes. It makes me a better mom to come back recharged and I am always excited to see my kids who I missed so much!